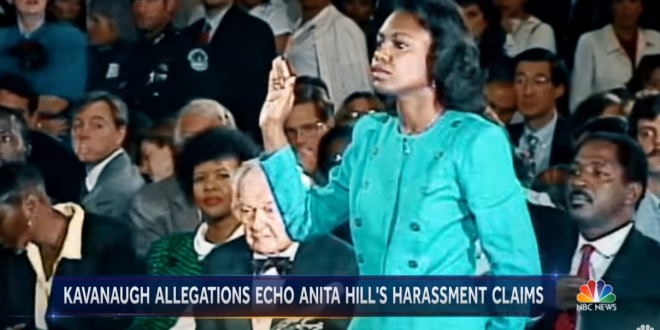 Anita Hill: We Can Handle This Issue Better In 2018 - Joe.My.God. With the current heightened awareness of sexual violence comes heightened accountability for our representatives. To do better, the 2018 Senate Judiciary Committee must demonstrate a clear understanding that sexual violence is a social reality to which elected representatives must respond. A fair, neutral and well-thought-out course is the only way to approach Dr. Blasey and Judge Kavanaugh’s forthcoming testimony. The details of what that process would look like should be guided by experts who have devoted their careers to understanding sexual violence. The job of the Senate Judiciary Committee is to serve as fact-finders, to better serve the American public, and the weight of the government should not be used to destroy the lives of witnesses who are called to testify.